Aside from a Christmas tree, nothing says “holidays” like poinsettias. 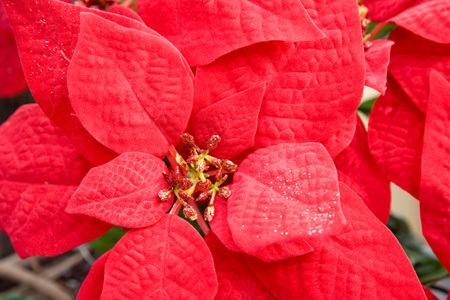 A beloved holiday tradition both for decoration and gift giving, poinsettias also make attractive indoor plants all year long. You don’t have to throw them out with your tree when the holidays are over. If you care for them properly, there is no reason why you can’t keep them until next year. Keep reading to find out how to keep your poinsettia plant alive year-round.